The Strong Start Early Learning Academy at the Church of the Annunciation will host two open house events in February to showcase its Pre-K program. The open house events will take place from 9 a.m. to noon Saturday, Feb. 20, and 4:30 to 7 p.m. Wednesday, Feb. 24. The Pre-K program is located at 7580 Clinton St. in Elma. For the 2016-17 school year, Annunciation will offer a two-day Pre-K3 program from 9 to 11:30 a.m. Tuesday and Thursday, and a three-day program Tuesday through Thursday. The Pre-K4/5 program will continue to be offered from 9 to 11:30 a.m. Monday through Friday. Annunciation also offers a “Mommy & Me” program for children 18 months to 3 years from 9 to 11 a.m. Mondays. Strong Start Learning Academy is a fun and Christ-centered learning community featuring programs such as Handwriting Without Tears and Building Blocks Math. 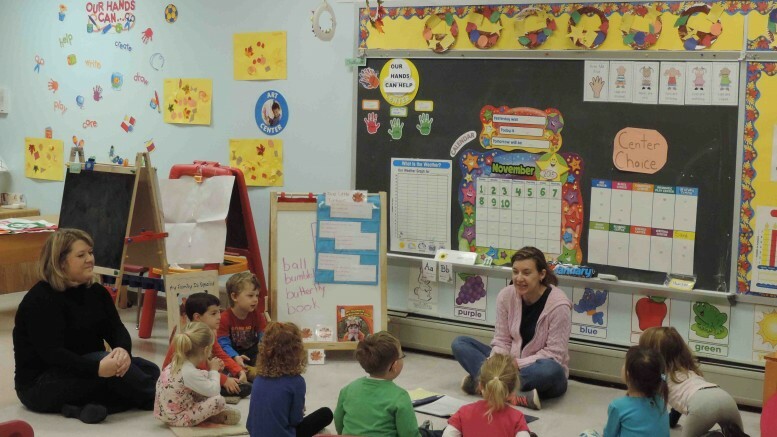 The program follows the New York State standards and ensures that all activities are challenging but maintain developmentally appropriate practices, according to Program Director Carrie D’Attilio. For more information on the Strong Start Early Learning Academy, please call 681-1327, email office.annunciation@gmail.com or visit http://www.annunciationstrongstart.com. Be the first to comment on "Strong Start Pre-K program at Annunciation to host open house events"